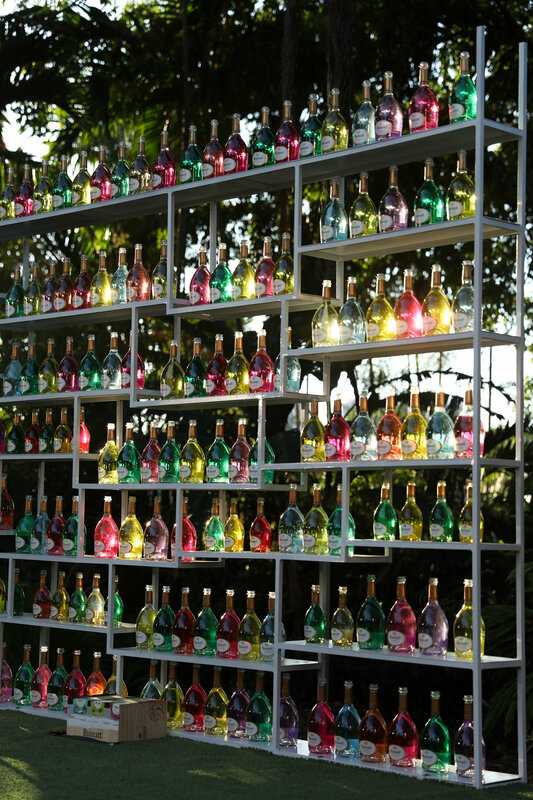 Art and fashion patrons from around the world joined Ruinart Champagne, the first established Champagne House, to experience Liu Bolin’s creation process in action as he was live-painted at the Miami Botanical Garden amongst a large-scale installation of Ruinart’s iconic rounded bottles. Throughout the week, art and Champagne lovers alike will be able to immerse themselves in the world of Ruinart x Liu Bolin through an installation at the Ruinart Lounge at Art Basel. Additionally, a Bolin-inspired tasting menu will be available at Cantonese hotspot Hakkasan. Notable guests included Shea Marie, Andres Fanjul, TK Quann, Aureta Thomollari, Vik Muniz, Carlos Bentancourt, Soledad Lowe, Christie Ferrari, Eliza Mcknitt, Jakob Kudsk Steensen, Alexander Lynx, David Castillo, Ezra J William, Umberta Gusalli Beretta and Olivia Perez, among many others. As they watched the behind-the-scenes look at Bolin’s meticulous artistic method, guest sipped Ruinart’s beloved Rosé paired alongside canapes from Michelle Bernstein and tunes by DJ Timo Weiland.